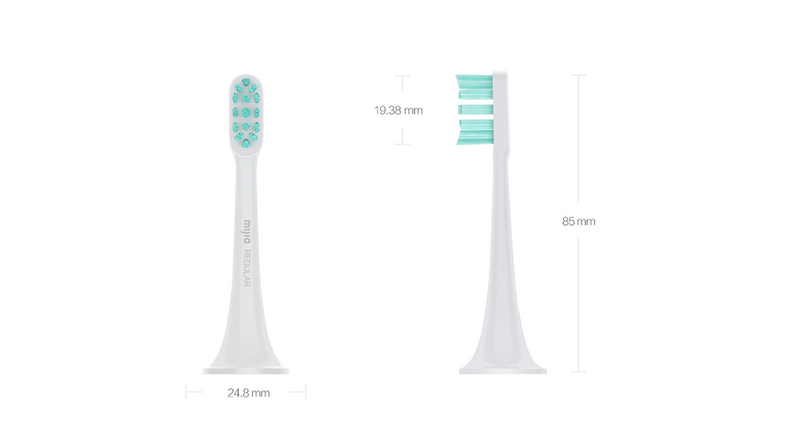 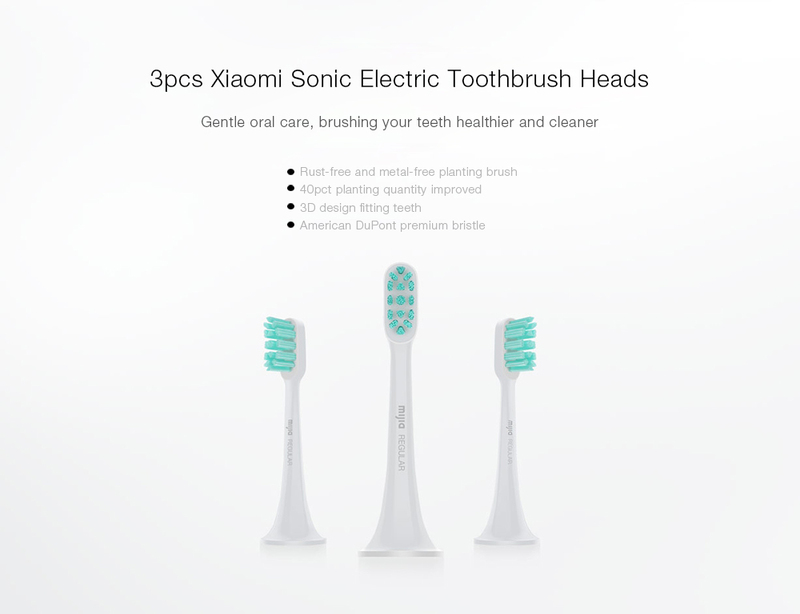 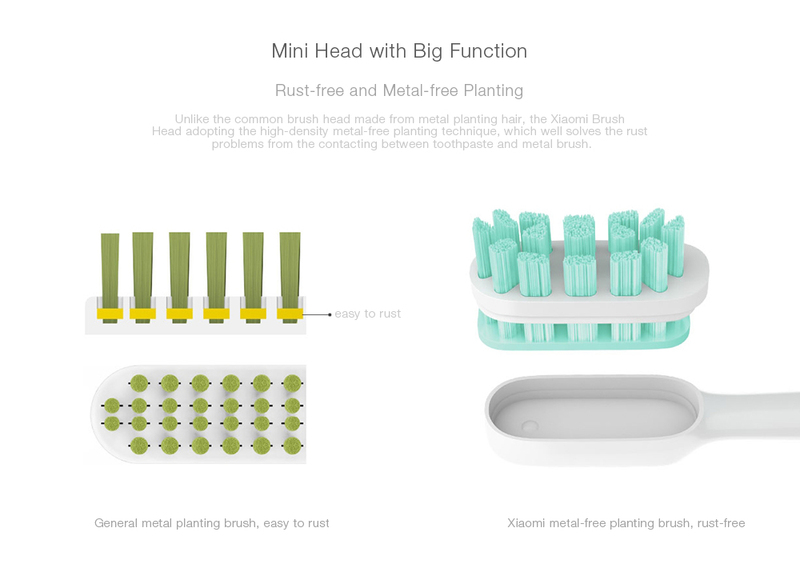 This set of 3pcs Brush Head is designed for Xiaomi Mi Home Sonic Toothbrush, which offers optimal comfort with a truly deep clean for you with its high-efficiency magnetic levitation motor and high-density planting brush. 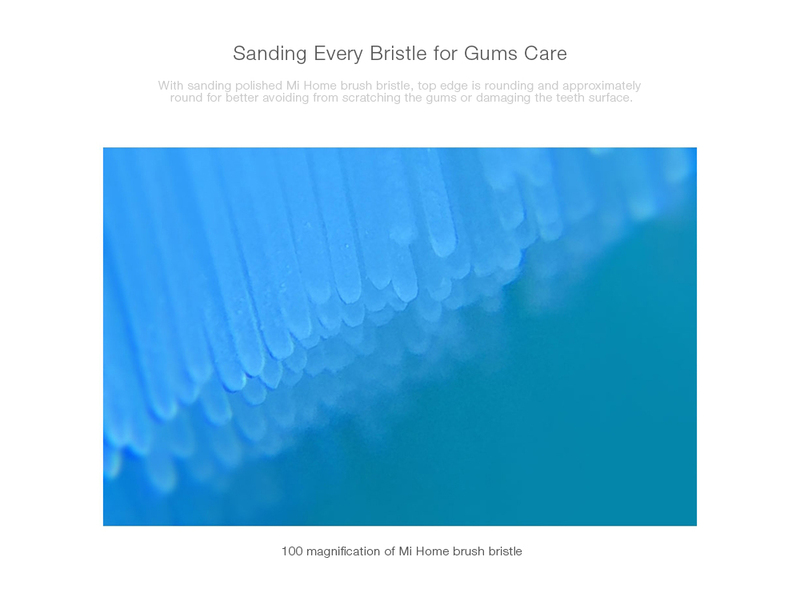 Made of high-density American DuPont premium bristles, it is metal-free, rust-free and effective to use. 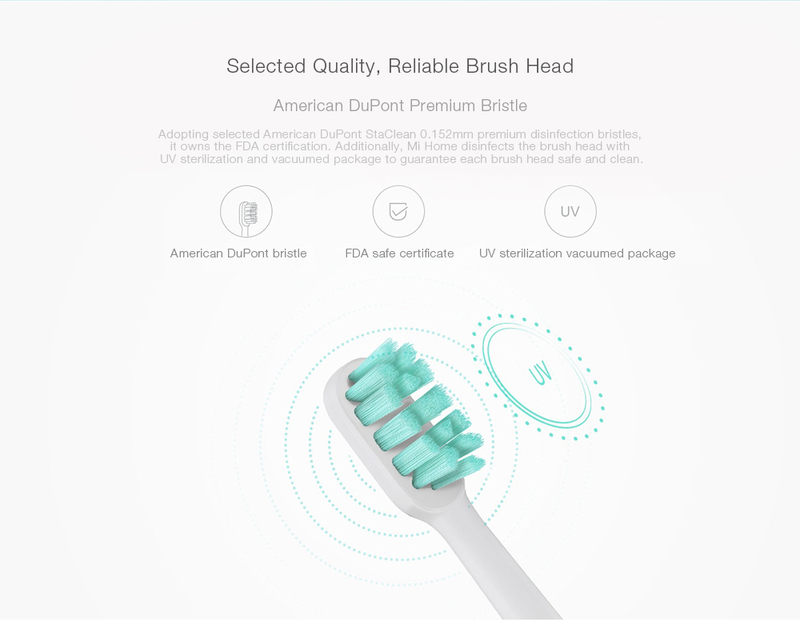 The mini brush head can deeply clean your teeth and gums, whiten your teeth, prevent tooth decay, remove plaque, coffee stain and calculus. 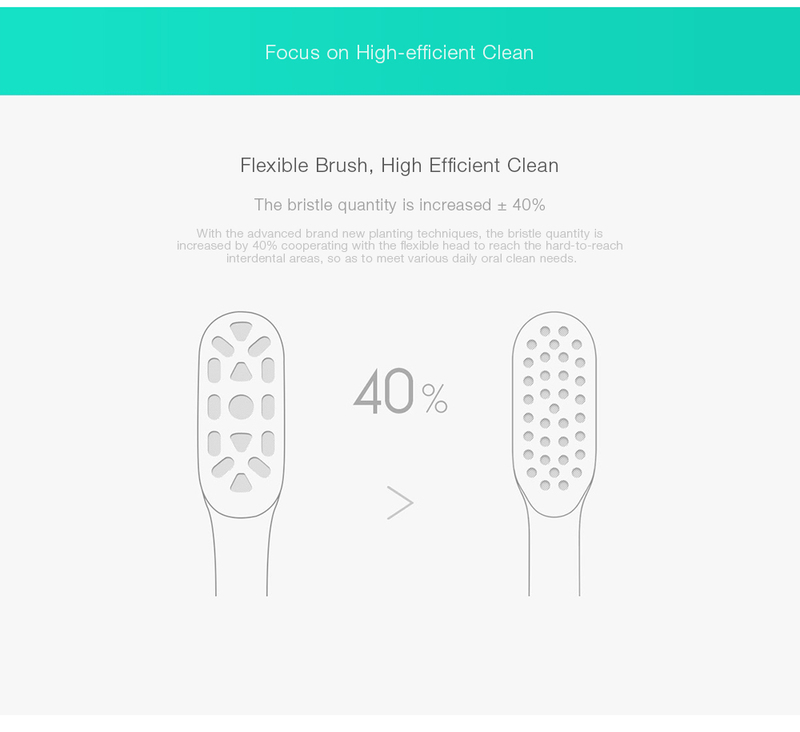 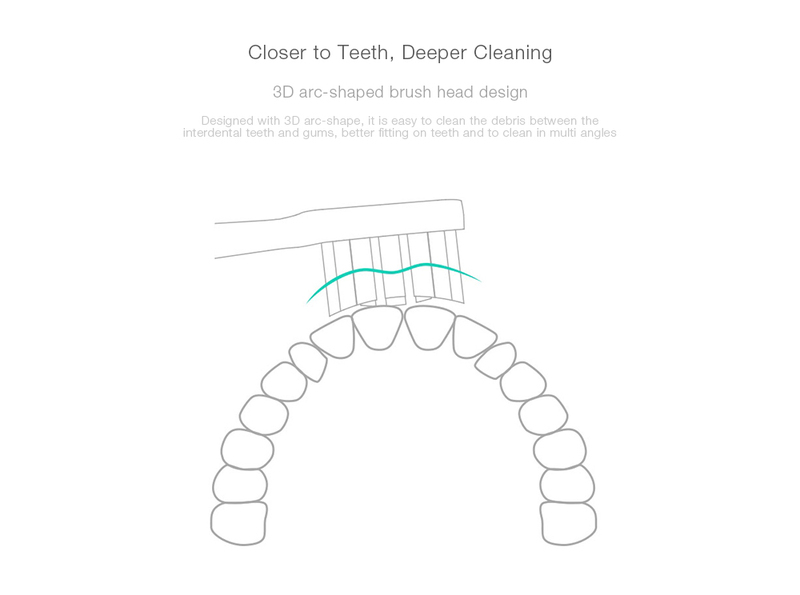 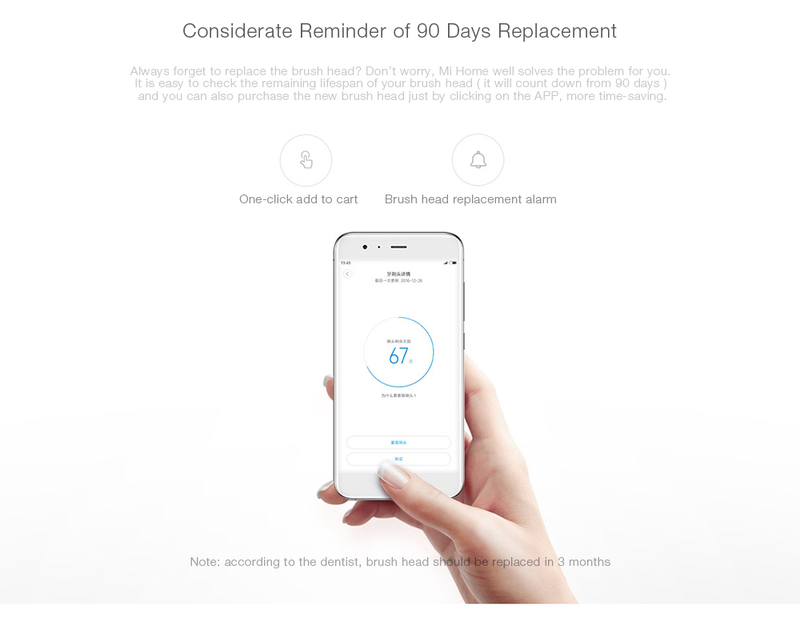 You can use the APP to check the remaining lifespan of brush heads, and it will remind you of the replacement cycle in 90 days recommended by the dentists. 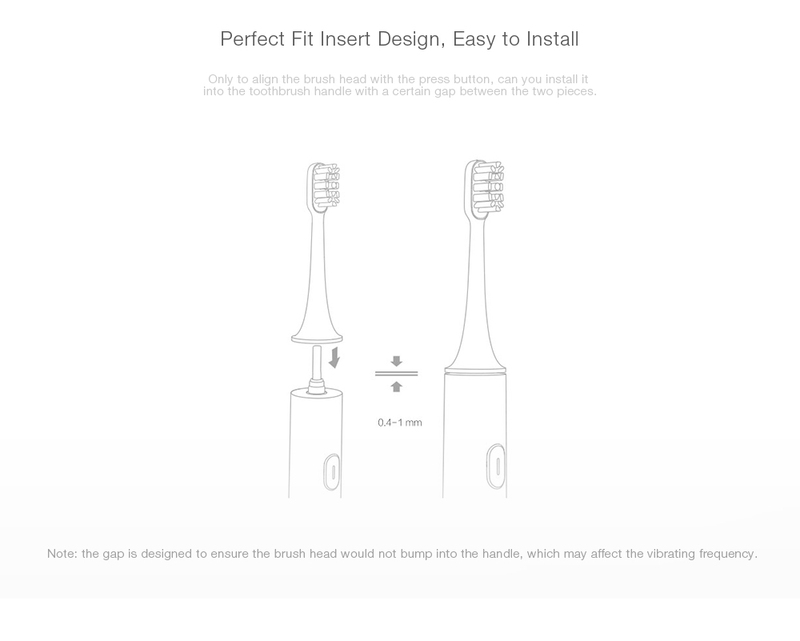 It is very easy to be installed in the toothbrush, regular replacement work for efficient tooth brushing.